Best Western Augusta West est idéalement situé dans le centre de Grovetown. Venez découvrir et profiter de notre hôtel à côté des principaux sites touristiques. Réservation au meilleur prix et offres exclusives toute l'année. Profitez de tout ce qui fait l'attrait de notre région : parcours de golf verdoyants, nombreuses entreprises et événements palpitants tous situés dans les environs d'Augusta, Evans et Grovetown. Pour les voyageurs d'affaires, l'hôtel est à courte distance de John Deere & Company, GIW® Industries et Club Car®. Situé à seulement cinq kilomètres de l'entrée principale de Fort Gordon. Cette base militaire américaine accueille l'US Army Cyber Command, la National Security Agency et le centre médical militaire Eisenhower. À seulement 11 kilomètres du parcours de golf national d'Augusta, qui accueille le tournoi Masters® Golf, et à quelques minutes de plusieurs autres aires d'échauffement et parcours de golf de la région. Vous n'aurez pas besoin d'aller loin pour travailler votre swing. Que vous y participiez ou que vous soyez là uniquement pour soutenir les participants, le célèbre triathlon Ironman d'Augusta se déroule à quelques minutes seulement du Best Western Augusta West. Vous vous sentirez chez vous dans les chambres confortables et impeccables de cet hôtel de l'ouest d'Augusta. Profitez du confort offert par la télévision câblée ou par satellite avec HBO®, accès à Internet haut débit, four à micro-ondes, réfrigérateur, bureau de travail et bien plus encore dans votre chambre. Démarrez la journée comme il se doit avec un petit déjeuner chaud complet offert chaque matin. À courte distance des attractions les plus célèbres de la région, notre hôtel vous permet de profiter d'un séjour actif. événements musicaux, spéciaux et théâtre de l'amphithéâtre Lady Antebellum, du centre civique Augusta et de l'auditorium Bell. Envie de pêcher l'achigan, de jouer au disc golf ou de faire du ski nautique ? Le lac de Clarks Hill et le parc de Wildwood ne sontqu'à quelques minutes. Avec 11 restaurants dans un rayon de 11 kilomètres de l'hôtel, vous n'aurez jamais à aller très loin pour savourer un délicieux repas. Retournez à l'hôtel pour vous détendre dans la piscine extérieure. Profitez de l'accès au centre de fitness 24 heures sur 24, à la blanchisserie réservée aux clients de l'hôtel, au centre d'affaires, au parking gratuit et bien plus encore. Un excellent service et une situation idéale vous attendent à un clic ou un appel. "Day trip, just one night"
Good experience, great staff, location is good. Place is clean and confortable, you have wifi and free parking. Very close to gas station, restaurants, supermarket, I spent only one night here but Im sure I could come back another time. Hotel and breakfast was great. The entire staff that i met was very helpfully and nice. Will stay there again in the future. Location was very close to interstate 20 to get on and off. plently of places to eat a crarrel bar restruant right next door. 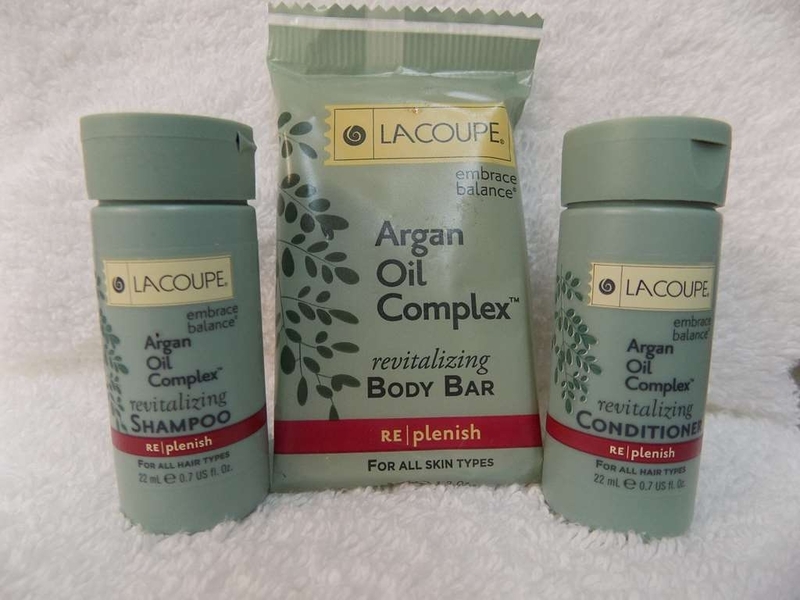 "The worst treatment by hotel staff in my life"
The night I checked in I asked for a late check-out, 12:00 & my request was granted.The next morning housekeeping is tapping on my door, with what I think was a coin, & calling out "housekeeping". I realized I had forgotten to put the "Do Not Disturb" sign on the door so I got up & put that sign out on the door handle. I got back into bed but could not fully return back to sleep because the housekeeping crew kept talking & laughing loudly. Approximately at 10:40 the woman at the front desk called me & asked me did I forget to drop my keys off before I left, & mentioned that everyone else in the hotel had checked out.At this late hour there was no reason to try to get back to sleep. I immediately called back down to the front desk & told the woman that I had a late check-out scheduled and she confirmed that she just looked in the computer and saw that was true.If this woman thought I had left the hotel then why didn't she call MY CELL PHONE? The loud talking in the hallway never stopped & I could see the shadow of of feet standing at my door.When I went out to get the suitcase cart all 3 housekeepers were silent until I got onto the elevator then there was loud laughter.Upon returning to my room I saw that SOMEONE HAD TAKEN THE DO NOT DISTURB SIGN OFF MY DOOR!As I closed my door I Immediately hear the housekeeping crew burst into laughter.When I dropped the keys at the front desk, the clerk looked straight at me & said nothing. No apology.All this was INTENTIONAL HARASSMENT. "What a great bunch of people." We visited for my brothers decommissioning from the Army. There were great people there, so friendly. Some were Mike,Carol, Robyn, Teresa and Frank. Sorry if I missed a name but you were a joy to be around. We played cards (not for money Frank), drank coffee and they ensured we had had enough breakfast before they took it down. Rooms were great. Would suggest this place to anyone. My wife and I along with 4 sister in laws stay her Sept. 21 and 22 while attending a baby shower. We found this hotel to be perfect. The rooms were clean and looked in very good condition. The rooms were well appointed wit iron, ironing board , hair dryer and even a safe. A hot breakfast was included with the usual fare. Admittedly the food could have been hotter but still satisfying. I must also say they take breakfast down early, 9:30 on weekends and 9 am on weekdays. The staff was very accomidating and friendly. Overall this will be my hotel of choice. 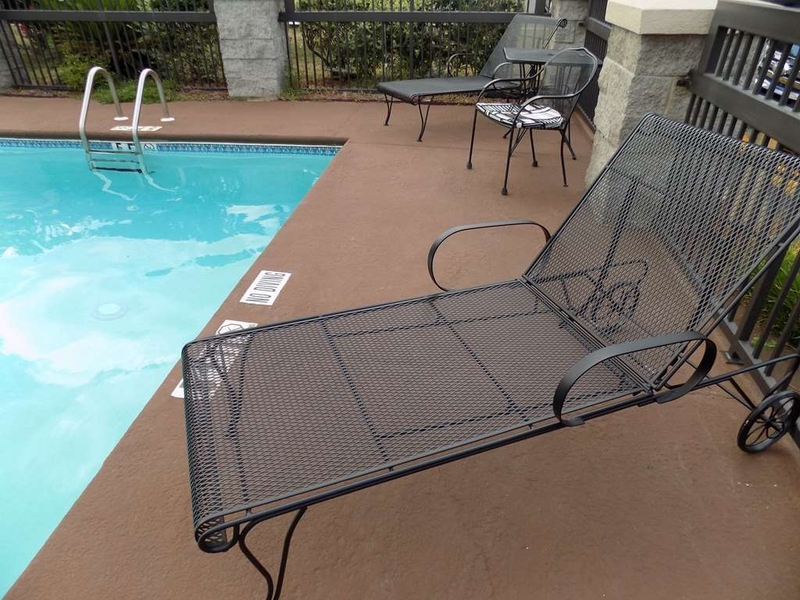 "Hurricane Florence sent us from Myrtle Beach to Grovetown, GA to this Best Western"
We had a wonderful, calming stay at this Best Western, The room was spacious and clean. We were in town as we had to evacuate from Myrtle Beach due to Hurricane Florence and we found this hotel on the internet. Lucky us! Very friendly, helpful people work there. Would stay there again -- next time, hopefully for a fun, planned trip to Augusta ! Thanks to all of you at the Best Western. We enjoyed our stay here, rooms was clean and the bed was very comfortable. Employees was very helpful and they assist with all our needs. Quick check out and fast. Close to a lot of places to eat and the Mall is only minutes away. Great place to rest. Very clean lobby and entrance way. Great parking. Very clean rooms. Very friendly staff. Close access to highway. Many restaurants in the area that's very close to hotel. Very clean pool and its quiet. "will stay here whenever in Augusta"
We stayed here years ago and it is still as friendly, clean and welcoming as it was then. We were in town for a family reunion, and stayed because of our past experience and will if we go again. There rooms are very good sized and so clean. We love this hotel pretty good price too! We stay here every time we come to Augusta to see our kids and grandkids. Overall it is a good value for the money. The front desk attendant, Theresa, was AWESOME!! She was so helpful and nice. On the negative side, the air conditioner in our room appeared to have 2 choices.......either freezing or hot. We choice freezing since it is June in Georgia. Our room had a faint cigarette smell which is always unpleasant. One day our room was not cleaned and NO the do not disturb sign was not on the pdoor. This is not a big deal except that's one of the benefits of staying in a hotel. Good but not the best. Dirty carpets.The carpets were dirty and should be cleaned. The beds were nice. The referigerator was good. The television had limited channels and could be improved. The front desk staff was very helpful! Breakfast is included but not til 6 which is when our group has to be at work. Larry went above and beyond. Larry did a fantastic job for our group, having everything ready in time for 20+ people to eat before leaving even though that meant starting about an hour earlier than normal. 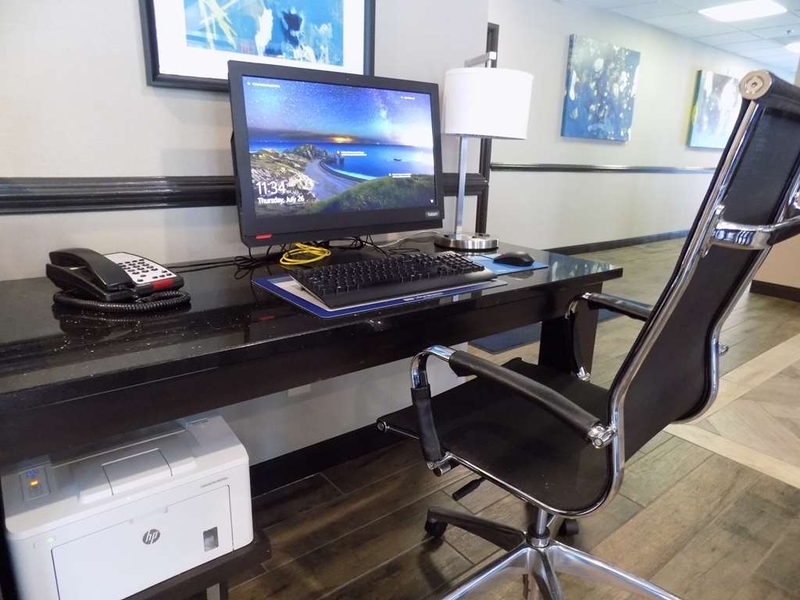 Great computer in lobby to use. Pool area and everything else were kept super clean. Workout room not the best but everything else is awesome. Just came home from Best Western in Grovetown--Augusta Georgia West. The hotel is spotless and we needed and received a walk in shower handicapped room. My husband stayed here mostly while I was having a total knee replacement at nearby Doctors Hospital. The staff is wonderful at Best Western, They would be happy to do anything for you to make this kind of a trip more pleasant. BReakfast was delicious and those that didn't give this Hotel a *****, well don't know what they could have been looking for. The handicapped bathroom was wonderful with a walk in-roll in huge shower. Grab bars are just everywhere for your safety. The young lady that keeps your room fresh did a fantastic job and all of the staff were so appreciated. When we come back to Augusta WE WILL be staying at Best Western. You can not beat this hotel. THANK YOU!! "Quiet spot close to a lot." Hotel is in a great location close to everything necessary but also tucked very neatly into a quiet corner. The pool looked nice although I never got a chance to go swimming. You can tell the hotel was recently renovated- it looks very new and modern. "Average facility - below average service on this date." But anyone can have an off day. The guests next door certainly did. Guests next door had a major fight between 4 and 5 a.m. Office staff was called but according to morning staff, no action was taken. Room was not taken care of (empty toilet tissue roll - blankets dropped in corner) between first and second night. Maybe staff was having an off day too. This won't be our first choice next time we are in Augusta (several trips per year). "Much nicer than expected! " More like a BW Plus to us. Maybe it's the effect of The Masters. Teresa at the desk was efficient and welcoming, treating all guests as special arrivals. The room was plush and comfortable. Everything was clean and top quality. And it came at the usual reasonable BW price. I stayed at this hotel passing through on business. I've stayed here in the past and continue to stay here anytime I'm in the Augusta area. Hotel is modern and clean. Staff is friendly and knowledgeable. The rooms are large and updated. WiFi works well. There are many restaurants in the area. Breakfast was good and plentiful. The parking situation is a bit tight with a large vehicle, but not bad. I would definitely recommend this hotel. The hotel is beautifully decorated with lots of modern finishing both in the lobby and in the room. The rooms are very large, and the beds are super comfortable. Breakfast selection is huge & includes hot items such as eggs, bacon, sausage, and waffles as well as cottage cheese and yogurt with ALL kinds of toppings. No problems at all getting a late checkout. Only downside was that we were on the top floor, but there were kids running up and down the hall making noise until late at night. But would definitely stay again! The beds in this hotel were absolutely wonderful. They were the best and most comfortable beds I have had the pleasure of sleeping on. The upgrade in the bedding really payed off. The breakfast was good both days. Plenty to choose from, and the quality was great. Fast and easy. Best Western is my favorite place to stay. "Clean, close and good staff"
The hotel was accommodating when our plans changed and were exceptional in service. The room was clean, neat and large. We felt very comfortable there and enjoyed our short stay. We stayed only one night but felt that if our plans had not changed we would have enjoyed our stay longer. We originally booked for 3 nights but things changed and we returned home earlier than planned. The room was neat and clean, well appointed and the HVAC worked extremely well. "Extended 3 Mo. 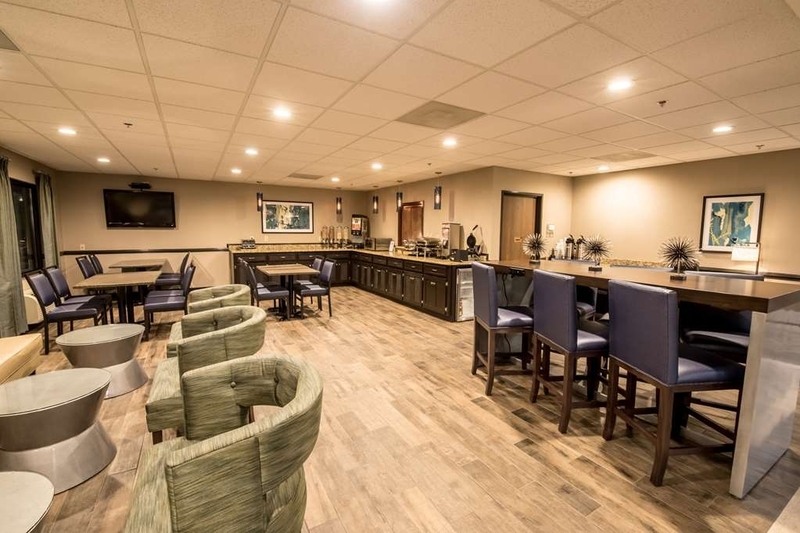 Stay Made Enjoyable"
I have been stationed here while training on Ft Gordon and so I have had the opportunity to get to know most of the staff and see the hotel's inner workings. The staff is extremely friendly and has handled everything we've thrown at them. Breakfast is always hot and ready at the designated times. Rooms are cleaned daily. The hotel has updated their rooms at a great rate and new bedding/sheets show a refreshed appearance. The rooms are very open and I enjoy the layout. There is a large amount of sink counter space in the bathroom (my roommate and I haven't run out of space yet). 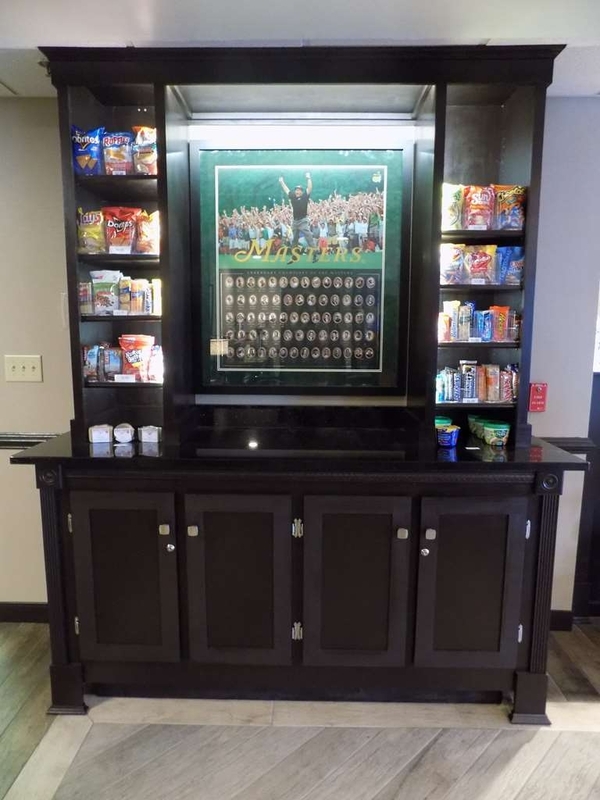 They have offered to print documents needed from the front desk for us and often make cookies when we are expected to return from training for grabs at the front desk. Hot water for tea or hot chocolate is always available along with coffee. Very thoughtful crew and definitely made this Northern guy feel some Southern Comfort. There are plenty of places to eat within a short drive (McDonald's, Steak 'n Shake, Taco Bell, Burger King, Popeye's, Dairy Queen, ect. and some great local spots. Walmart and shopping plazas are less than 10 minutes away which has made it easy to shop, stock the mini fridge or grab additional comfort items. I haven't had an issue ordering take out or even purchasing items online. Overall, it's been a great experience and am very pleased with my stay. "Average older hotel, but friendly service"
Obviously an older hotel with a very inconvenient elevator location. The room was average as far as décor and bedding. Bathroom was fine, just fewer toiletries than in most "highway" hotels. I was greeted very warmly by the front desk personnel, who were very good about giving me snacks as a Rewards member. My biggest beef was the front doors. They had handles to pull the doors open, rather than the automatic sliding doors used almost everywhere else. As I said - older hotel. This was a real pain three times during my stay, when using a luggage rack or loaded down with bags. Fortunately, there happened to be people around each time to hold the door open, but it shouldn't be necessary any more. This hotel was located at the end of a road with about 4 other hotels on it. The front of the building was easy to miss. My nav system had me turning into the hotel just before this one. The staff, the breakfast, and the room were all great. These folks take pride in this facility, and they are very hospitable. They greeted us by name, since we made reservations the day before, I suggest becoming a rewards member. It was one of the better breakfasts that we experienced on a 2000 mile motorcycle trip. The bed was one of the most comfortable, in fact the most comfortable up to that point of the trip. If you are in the area, its a good deal. This is a hotel that I had not been to in about a year so it was certainly a pleasant surprise to see the recent remodeling of the lobby and of course the rooms . They are doing a good job at keeping up with the times and technology .I was informed that there are more remodeling to come especially in the bathroom so that makes me happy. Overall I can say my stay was enjoyable. "Changes, not in a good way." We have stayed here several times over the past few years. They always tried to make our stay perfect especially when they had plumbing issues. Something has changed , not for the better. The desk clerk was very uncooperative & had a snippy attitude. Had the manager call me a couple of days later about the price. Her message was a bit snippy also. Time to find a new property. 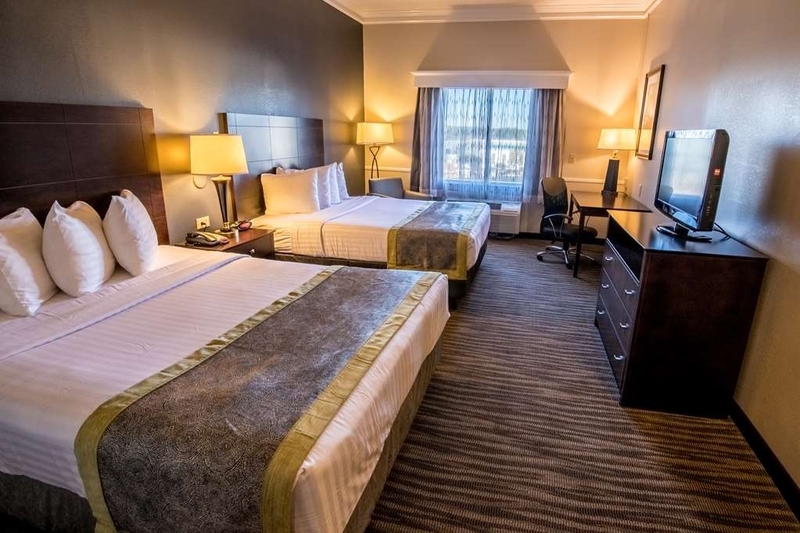 Very nice quality hotel closely located to a variety of restaurants (Cracker Barrels, Emilio Mexican Restaurant, Tokyo Hibachi Express, etc...) within walking distance.. Room is clean, quiet, and bed is very comfortable. Breakfast is basic but sufficient. Hotel staffs are helpful. Love the people at the front desk. But the rooms are very damp. Switched rooms and had the same problem Hotel is renovated nicely, beds comfortable. But can't figure out why it's so damp to the point that it smells. Olivia, Francis,Larry, Teresa were funomanal. They have great customer service and they make you feel like your at home. I will definitely refer this place to anyone. Francis has the best welcoming personality. Nice nondescript hotel in a typical off-the-interstate hotel conglomeration. Located at the end of the hotels in a relatively quiet area. Fairly easy to get in and out of. Only one Mexican restaurant within walking distance. Staff was excellent. Room very clean and comfortable. I know this is a little nick-picky, but one reason did not get excellent, had to go up a floor to get ice. This is a common complaint of mine. Don't understand why they can't have a machine on each floor. You know - for their guests. They had the space. I do recommend this hotel. Went for a night for a birthday getaway had no problems the staff as a whole was very helpful... It was clean and I saw no bugs............ I had an easy time with checkout and the hotel is located next to places to eat as well as stores. 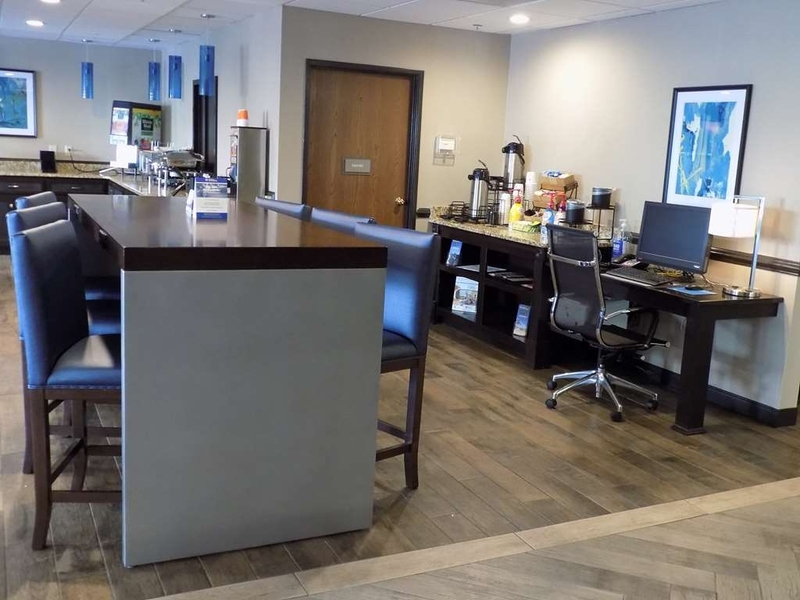 "Better accommodations that you would expect"
The owner and staff are amazing and were very helpful in addressing questions and modifying reservations. The interior and rooms are all updated and new. Access from the main highway is a breeze. The best value for the money. I will definitely stay there again. "Excellent Customer Service / In Room Jacuzzi"
Great experience, Larry was very professional and went out of his way to make sure I was satisfied. In room jacuzzi was the cherry on the cake. Rooms were very clean. Safe area and the remodeling of the hotel made me feel like I was at an expensive hotel. We were among the evacuees from Hurricane Irma who took refuge in Augusta. The Best Western staff that we encountered were friendly, helpful, and did all they could to welcome the large influx of guests. But on two occasions we witnessed service that went far beyond expectations, both by the same employee, Bruce. Bruce ran the breakfast area and, as expected, kept it well stocked and clean. One morning at breakfast we struck up a conversation with another guest, an elderly (83 year old) woman from Augusta who had a tree fall on her house making it uninhabitable (yes, Hurricane Irma visited Augusta too!). She was alone, her husband having died a year earlier, and she recently had a stroke. As we talked, we noticed that Bruce would fix her coffee and bring her breakfast items, cutting her waffle for her since she seemed to be struggling with the use of one hand. It was obvious that he was helping her because he saw a need and wanted to help. His kindness to this lady was exemplary, and he should be commended for demonstrating the very best service that a Best Western employee can provide for a guest. The second experience was our own. On the day we checked out, we said our goodbyes and left the breakfast room to pick up a luggage cart. We found only one which was outside and soaking wet; the other one that we had seen was in use. We figured that we would have to make multiple trips to bring our luggage downstairs from the 3rd floor. However, as we were waiting for the elevator to take our second load downstairs, Bruce got off the elevator with the dry luggage cart. When the other guest finished using it, Bruce brought it to us to make sure that we could get all our belongings down to the car safely and conveniently. We appreciate his efforts to make our checkout experience easy. Yes, we'll be back. "Nice Motel, easy to reach"
Stayed there one night on my trip to the east coast. Nice and very friendly staff, clean rooms and quiet area. Breakfast very good as usual in Best Western Motels. Late check-in and early check-out no problem. If Ray Charles was still around, He would definitely write a song about this place. The people are nice and the accommodation's too. That being said, this a really nice place to stay. And I've stayed in plenty of hotels motel's and places that made me wish I was blind. This place is a must see, and experienced. Don't go blind looking for any place else. This is after all The Best of The East. "Sugar bert boxing tournament "
We came.for a boxing tournament.... on Saturday morning the kids had weigh ins at 8 am .. the person that was supposed to serve the breakfast did NOT show up... so the hotel staff had to scramble to accommodate... the food was picked.up by 9 am .. leaving some of the boxers unable to eat the breakfast... On the other hand.. the rooms were very clean .. and Bonnie on the housekeeping staff was outstanding !!! Victoria at the front desk went far and beyond to accomadate for the room we had that the air condition was not working properly... awesome customer service on her part!!! clean comfortable room with a very helpful and friendly staff. plan on staying there again. Breakfast was presented well and very good. I used the pool and it was well maintained and clean. The location of the hotel is near I-20 and very easy to get to. 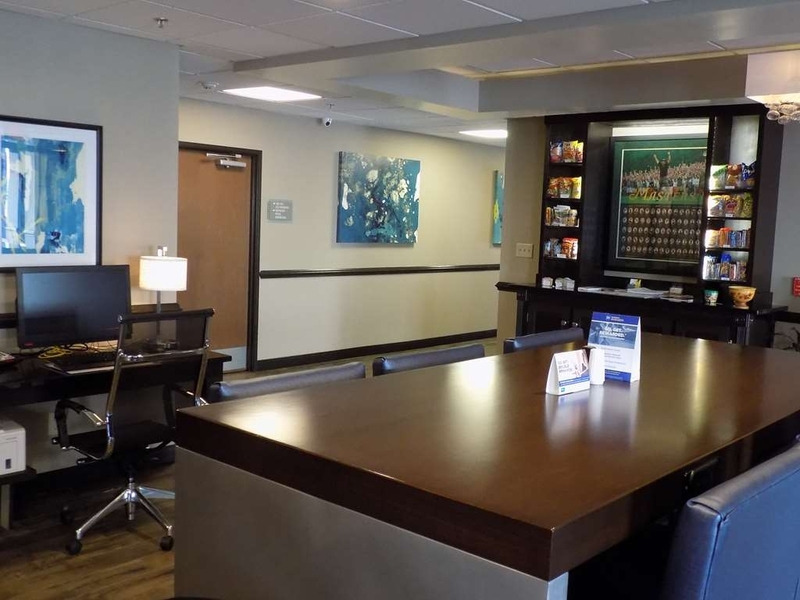 "Helpful, welcoming staff and clean, new great place to stay!" This hotel is great. The staff was wonderful and welcoming, espwcially to our children. They also helped us find a Best Western for the next evening. The pool is nice and the rooms are clean and comfortable. Breakfast was great too. Nicely renovated rooms and lobby area. Nice size rooms with couch. Clean outside pool. Laundry facility on site is a plus. Great staff. Will definitely stay again. 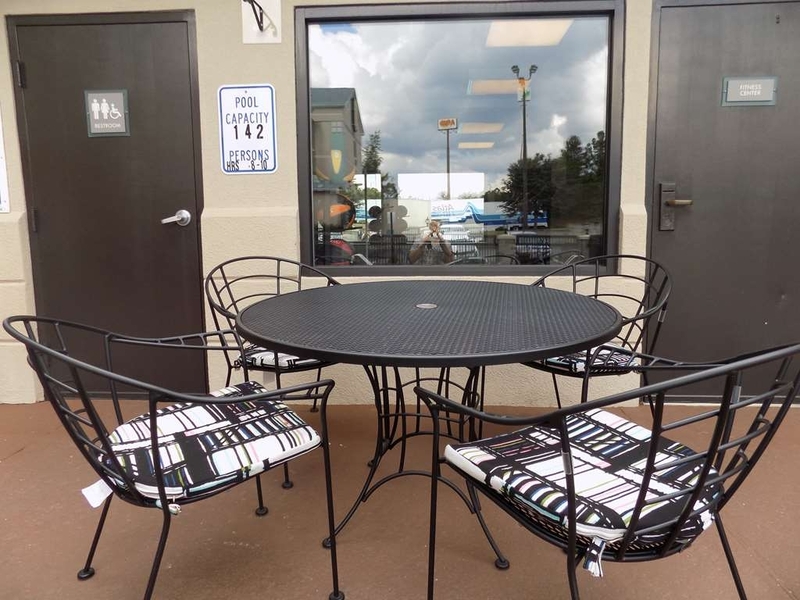 Real close to the interstate, restaurants and mall. "Good Value - "Hit and Miss" Staff - Boring Breakfast"
The price makes this an acceptable stay for short term guests. Many of the staff are very friendly and helpful, while others seem grumpy and not very helpful. On two occasions, the desk staff seemed to be on the phone engaged in personal phone calls for lengthy amounts of time (am staff). A particular problem occurred during my stay - a guest left his car's emergency blinkers on; I reported this to the desk (pm) and documentation was recorded. The following morning, the guest's battery was dead. I happened to be in the breakfast area and overheard the conversation. The desk clerk showed us the note; however, it seemed no one attempted to find the car's owner the night before - needless to say - he was quite upset. 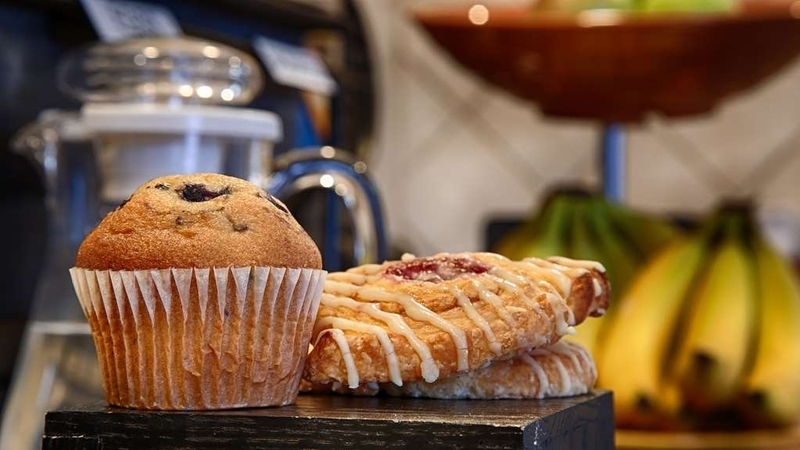 The breakfast bar has limited items - so this makes this hotel good for short stays only. The breakfast hosts seem to be under orders to put out a very minimal amount of items at one time and guests were noted to have to ask for bowls, napkins, salt and other items during my stay. Finally, management - spend a few extra dollars and buy better cutlery. This will be my last stay at this BW. I have already made reservations at a different hotel for my next Augusta visit. 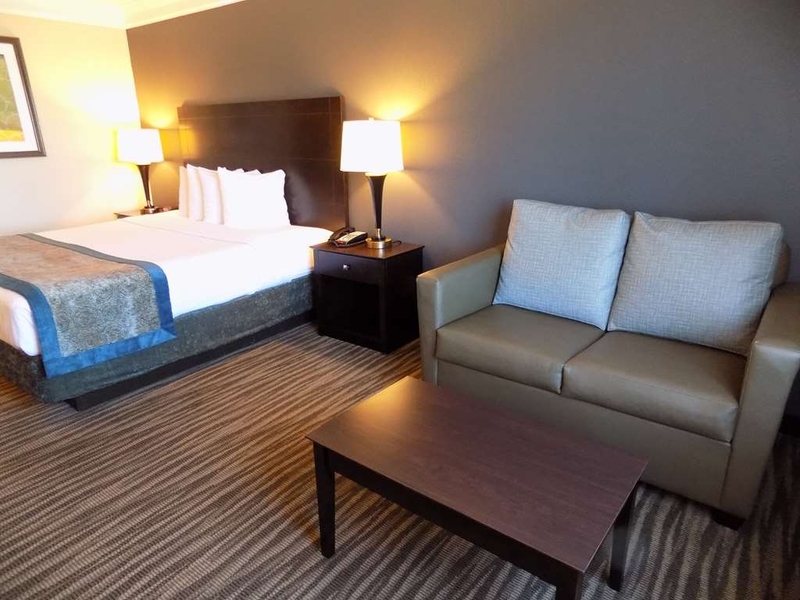 The staff was very nice and the room was comfortable and clean. The staff helped us to use our rewards points to save us money. They also helped us with finding a hotel at our next destination. My family had a great time in the pool!! Thank you, we will recommend this hotel. Teresa at the front desk was awesome! Friendly, welcoming, kind, caring. Hotel was clean, rooms are very welcoming and comfortable. Room rate fell right into our budget. Convenient location. Would highly recommend! The hotel is difficult to find under normal circumstances so I would suggest a good GPS. We were in at night and out in the morning so didn't use anything other than the internet and breakfast. The hotel was clean and sleep was OK. Our room had a little traffic noise. Not too bad. The usual BW breakfast was a bit skimpy and meat was not included. Hotel having some renovations done buy still very nice. Staff were very helpful. Very much enjoyed the breakfast. Good location. Enjoyed the pool. Air conditioning unit in our room was a little noisy. Motel undergoing some renovations, but staff very helpful, clean room, no problems encountered. As we were riding motorcycles and had been in rain all day, staff member transported us to a restaurant so we wouldn't have to walk or ride in the continuing rain. She went out of her way to help us. "Will be back when in the area." Has pool. Has very small gym. Friendly staff. Going through a remodel. Has breakfast. Good location easy to find. Near restaurants. Has 2 different newspapers in lobby. And tourism information. Bathroom was small. Lost in Georgia, and had to miss a stay at this hotel. Called the next morning to explain, but had already been charged for the prior night. Contacted manager several times, but she was unwilling to forgive the charge. Having been members of Best Western for year, felt saddened by her attitude. After mentioning we would contact the home office, she simply stated that they would call her, and she would decline not changing the charge. Beware of such manager if you have any issues with the hotel there. 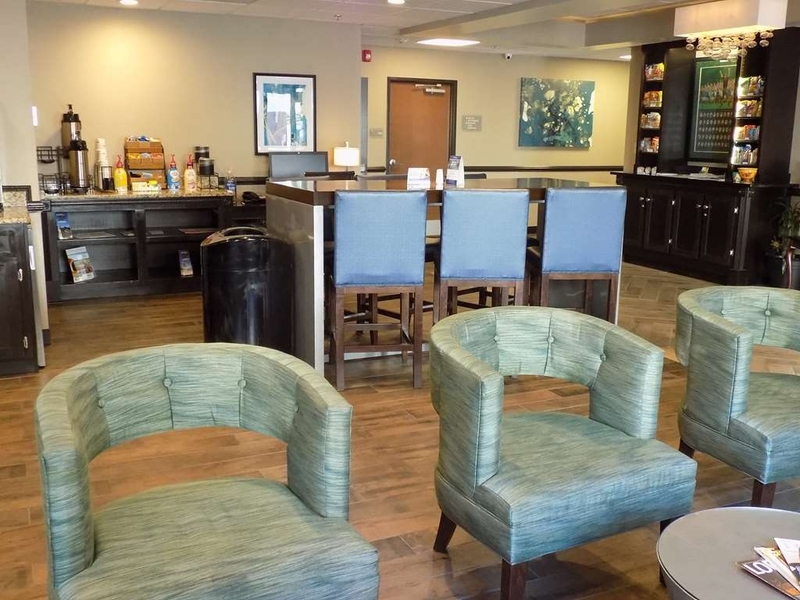 At our next Best Western stop, we explained the former issue, and they stated they couldn't believe a manager would be so rude if they wanted to keep return patrons. 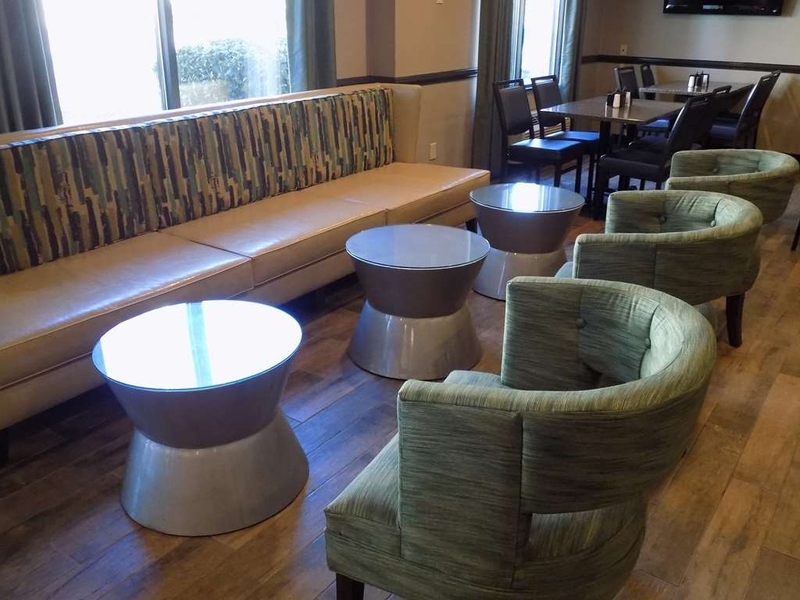 "Two night stay at Best Western, Grovetown, GA"
This hotel is a nice place to stay. The service staff gets my highest rating. Very helpful at every turn. The room is in very good shape, clean and comfortable. Staying on the first floor two doors down from the laundry room proved to have the occasional smell coming from the clothes dryer. It was not a bad smell, just unexpected in the room. The location was good for visiting a family in town. It is within walking distance to the Cracker Barrel restaurant. The free breakfast is typical of most hotels of this type. Scrambled eggs, sausage, waffles and biscuits and gravy are what everyone should expect down south. 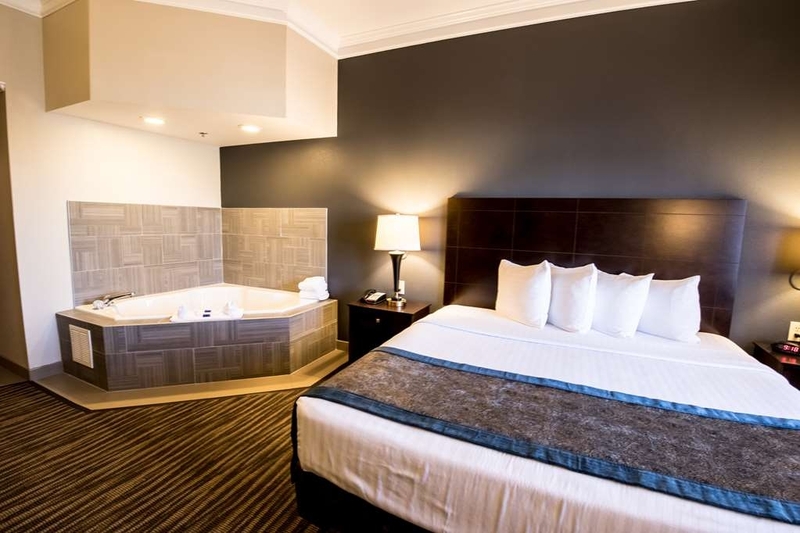 "Visiting Best Western Augusta West"
Room was clean, comfortable, and staff were courteous. The complimentary breakfast was terrible. Sausage gravy over biscuits is not appealing and was the main offering. No scrambled eggs or bacon. There was sausage but it was not good. Someone said there had been boiled eggs in the frig area but they were gone. Had to wait for coffee jug to be refilled and there was only one wait service attendant for breakfast and she was greatly over worked and items ran out quickly. A Masters trip must. The whole staff worked together to make our stay enjoyable. The breakfast was well presented and enjoyable, served in a warm and friendly setting. 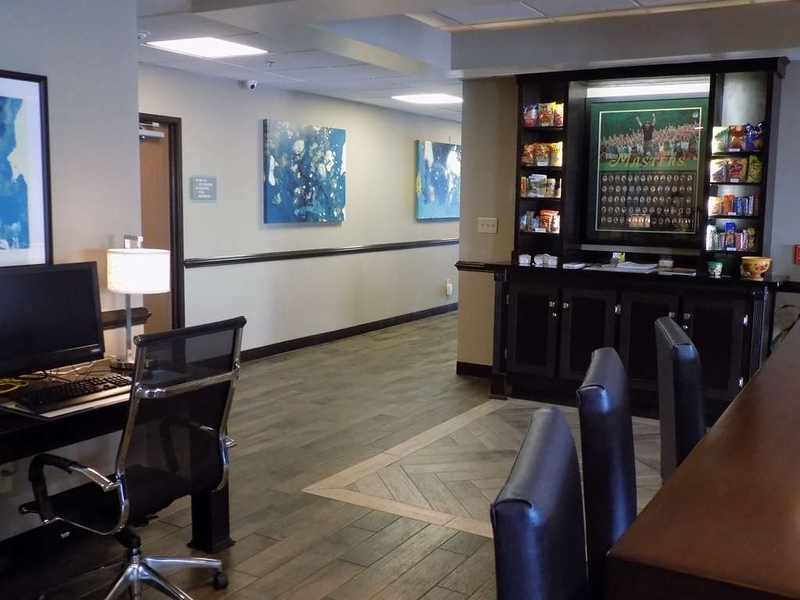 The hotel is located conveniently to Augusta, Ft. Gordon, Augusta National and many restaurants. I have stayed at this hotel annually since it opened, and intend to stay there for years to come. I loved it, customer service was great and I always like going to Best Western, they never come up short when treating like an special guest. Food was excellent and The ease of checking in was great too. "In town for business "
This location is not a bad location. The hotel is located just off the interstate for convenience. The rooms are updated. There is a microwave and refrigerator along with a medium sized flat screen TV. The rooms are good size with very high ceilings. Outside pool. The staff was pretty friendly during check-in. The parking lot is very small. No room for and vehicle larger than a car or pickup truck. Many restaurants in the area. Unfortunately most of the restaurants are fast food only. The beds are very comfortable. Breakfast was not the best. The eggs were overcooked and no meat. "First time staying with Best Western." After the trip I signed up for the rewards program! When it's time to travel for the summer my family will try a Best Western at different location. We liked the vibrant design carpet I loved the showerhead and the most important thing, "The place was CLEAN"
"Good choice for an economy hotel"
The hotel is relatively new or renovated. Large, clean room, fridge, microwave and coffee maker included. Decent free WiFi, polite and helpful representatives. My only issue was that I did not get the lower rate I saw online, but that was my fault for not registering online. 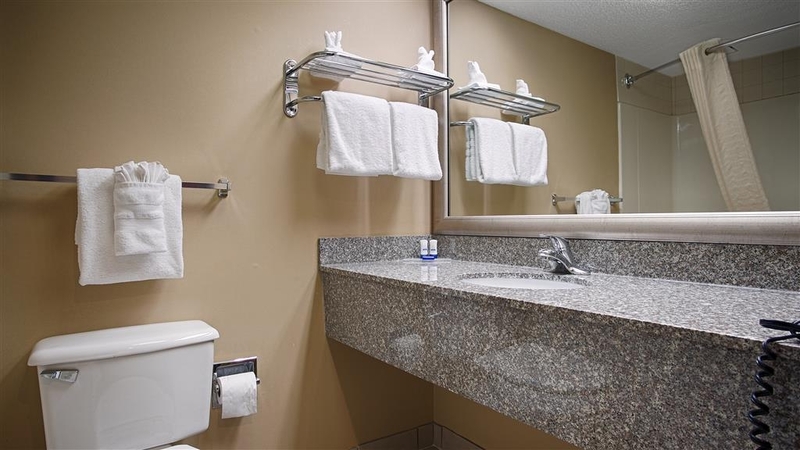 This is a good choice in hotels for the area, It's economical, relatively well located near restaurants and had ample free parking. We stopped over at Augusta on the way to Helen for a romantic getaway. Our stop in Augusta lead us to the Best Western. We loved the location and the hotel. Victoria was working when we arrived. She was very friendly and helped us get in the perfect room. The room was nice. The bed was great. We would definitely stay here again if we are in Augusta. Checked in at 11am. Went OUTSIDE and smoked a cigarette, went back into the room, used the restroom and left for work. Got a call at 12pm saying that I was being charged $250 for smoking in the room. Then I was charged 1 night and kicked out of the room! The manager (who is of Indian descent) was very rude and very nasty to me when I told her that i couldnt afford another room anywhere else tonight and that I'm 3 hours away from home. She basically told me I wasn't welcomed back at the hotel because of the damages to the room and she didn't care where I stayed tonight. This is a classic case of "Let me go check the Black Guy's room because I know he's up to no good." These people just basically robbed me of $310.00 because I smelled like a cigarette inside of their hotel room. Now I have to go pay for another room when I was charged for a night. I would NEVER stay here or at any other Best Western again and I HIGHLY recommend that you do the same. Clean, nice large rooms. Friendly service, nice fresh breakfast. Average room price, worth the price. Will be returning to the hotel. Next to Fort Gordon about 5-8 minutes away from the gate. Enjoy your stay!!! "Best Western Needs to Update Policy of Management"
Unfortunately this was a dismal stay. From the moment on the property till leaving. Unable to check in due to faulty card readers, changed rooms twice before being able to settle in due to hairs being found on the sheets. Unclean, Unsanitary, Fitness Center - one treadmill that was not safe, room was isolated and unsafe, I opted to just walk the property after twice slipping on the treadmill due to the worn tread. Room musty and extremely small. Breakfast horrible. Fruit rotten and bruised. Prepared by the same person seen dealing with the garbage bin outside. Kanta, General Manager, comped one night and apologized profusely, this was appreciated. Justin (checked me in never lost his composure in a very stressful situation) and Victoria(?) , checked me out and never once wavered in being kind, diligent and helpful as I was so irritated by check-out. They were very pro-active in customer service. Despite their attempts, the experience was Horrible. Upon check out Victoria gave both myself and husband fully stocked snack bags. Hotel was nice. Close to freeway but could not hear it at all. Staff was wonderful. Food was good. I have nothing bad to say about the whole place except the TV did not have a guide to the channels so finding something on TV after a long day was kind of frustrating. "Wonderful staff, very welcoming and made us feel right at home during Hurricane Matthew evacuation"
Had to evacuate during Hurricane Matthew, the hotel welcomed our group in with open arms. Hotel is nice and clean, and staff did outstanding job of dealing with the multitude of folks that were staying there under stressful times. Thank you very much to everyone. Definitely a good and safe place to stay. The Best Western Augusta West is a very clean motel and a wonderful WIFI system. The service was excellent and the value for which I paid was fair. I will stay there again when I visit family living in this area of the country. The Best Western Augusta West was not the best. First, the location was not easily found. The Front Desk Clerk count have been more appropriately dressed. She was very polite. Morning Clerk would have rather not been there. Lobby was nice, clean and attractive and accommodating. Breakfast was a little to be desired. Coffee was the worst. Fruit was old, and the danish were stale. 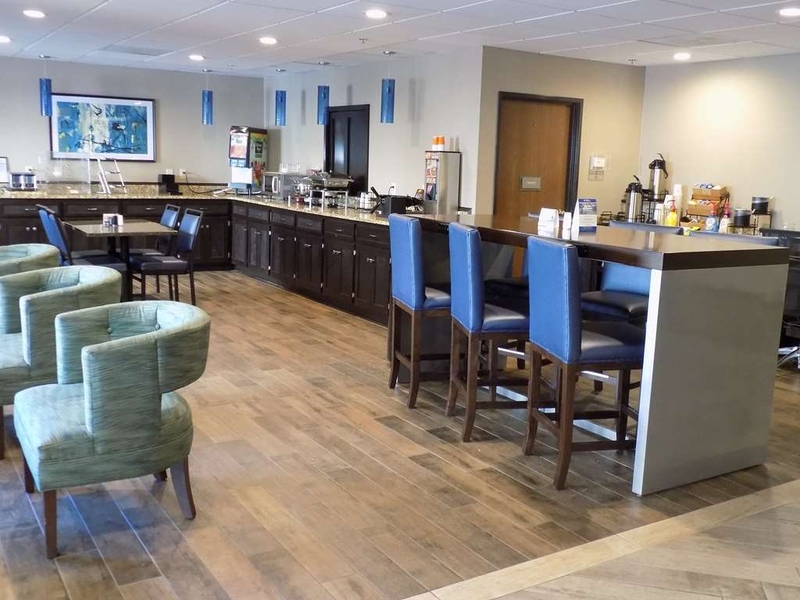 I stay at this Best Western weekly and have always had the best experience, Teresa and Victoria always go out of their way to make my stay great.The owner makes sure that the hotel is well maintained and the rooms are always immaculate. The front desk attendant when I checked in had a nasty attitude, then the following morning our sleep was disturbed with the noise from renovations in the rooms surrounding us and across from us. Then when a complaint was made, there was nothing done to rectify the inconvenience. The mattress was extremely comfortable, the room was clean and well decorated. The desk personnel was slow to come to the assist with the check-in. However, it was a good experience and I would recommend this hotel to my friends and family. 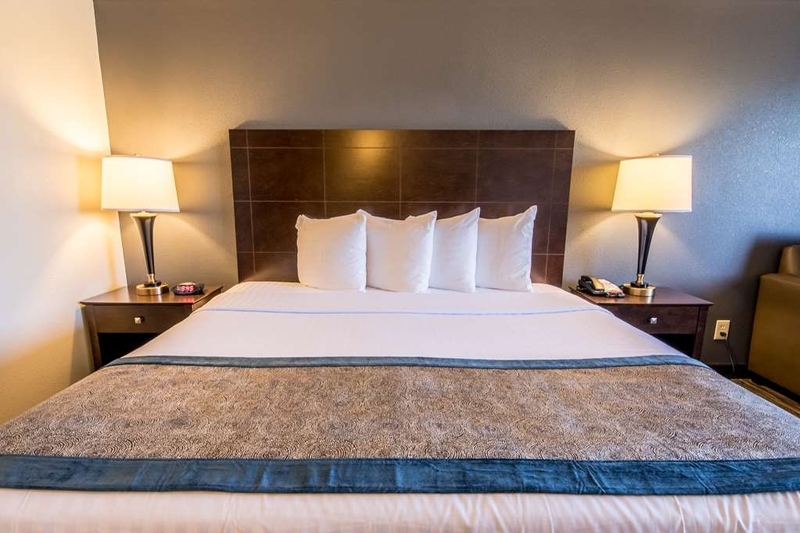 This was a pleasant hotel clean, friendly staff and great breakfast, We had a issue when we checked in the room smelled like cigarette smoke, staff immediately changed our room, the second room was very comfortable and the bed felt like a pillow top ! Nice for the price point. "Almost a bad deal since I didn't call ahead for reservations"
Well the hotel I had picked was full unless I wanted to wait till 8 pm in case the people were no shows. But the nice lady called ahead for me to the Best Western Evans Hotel. I was amazed. It was almost full too, but the checkin was extremely easy since the lady had called ahead with my info. Nice people, pretty room with the ac turned on and a huge soak tub with jets! Wow! I was a little worried when I saw all the nice young people who were playing basketball that nite (they won). Never heard a peep out of them and they were so so considerate. I ordered takeout and went to sleep early! Wow! "Best Western - AZ to SC"
"No Place Like Home At Best Western"
We love this hotel! We stay here every time we come to visit my wife's parents. The week of July 11th my father n law went to the hospital due to fluid in his legs and feet. My wife called this hotel and spoke with Justin to make last minute reservations with no questioned asked. Justin told my wife we know what type of room you and your husband stay in and no problem. Our arrival date was 7/15/2016, my sister n law needed a room and on the same day my wife called and Justin was busy checking in customers but called my wife back in 5 minutes to make a reservation for my sister n law with no problems. This is why we stay here everyone is so professional and CARES about their customers. Teresa is so sweet she always go out the way to make our stay so pleasant, she treats us like royalty!! The man that takes our bags to the car and works in the breakfast area is so nice and he always take time to say hello to us. The housekeeping staff is awesome and always take time to make sure you have everything you need. This is why we always stay here it is just like home. 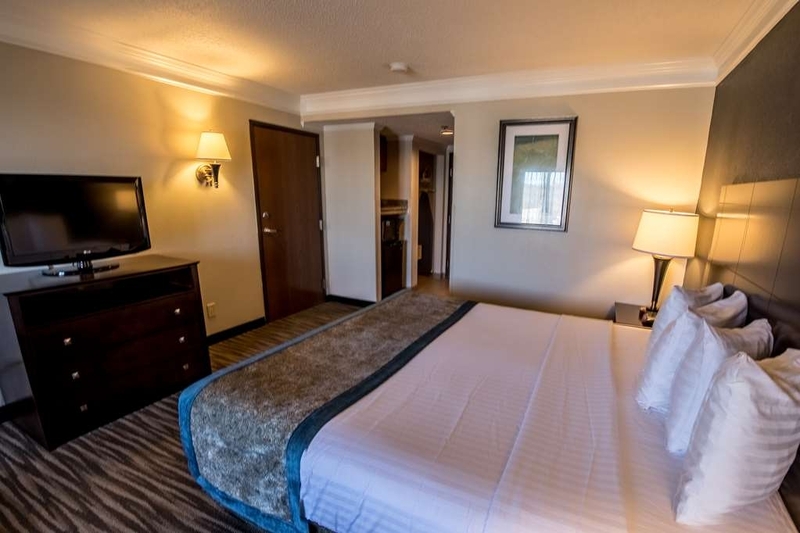 "American Best Value Inn and Suites 2562 center west parkway Augusta GA 30909 A good budget hotel"
Well let me start with the many good of this hotel; I checked in at almost 1:30 am Wednesday. The front desk worker was very nice. I got room 212, medium size room,queen bed,microwave, mini fridge,coffee maker,and fully furnished , AC regulation and works well. Everything you will need to use it there. free breakfast.The entire hotel is extremely clean. you can find down to shower cap and the holy Bible there; which I appreciated. All of the staff were professional except this one on my last Friday night. At about 12:03 am I was awaken by that intoxicated man above me at 312. I waited then fall back to sleep once more ; No sooner awaken again by that person above me. I called the front desk and ask her to talk to him ;because I have a very early flight in the morning and he is disturbing my sleep.I went back to bed manage to fall asleep once again. At about 1:30 am awaken by this drunk man yet again. I got a phone call from front desk ,this time is 12:40 am ;she told me that she went and knock on his door and he did not answer her; and she heard no noise coming from him. My reply was but he is disturbing my sleep.I further stated to her next time I won't be call you I'll call the police.Her reply was ill tell them that I hear no noise there. My last words to her was I need my peace and quietness. That I'll say a prayer on his head;I'll put him in the hands of the Lord; then put down the phone. I did not go back to sleep for fear of over sleeping. Then checked out at about 4am. I could not believe that she handle my complaint in that manner . Making me look like I was wrong to ask her help in that matter. That leaves me to conclude she is not fit for that position. I will not return to this hotel ever again.I paid my money to have my peace and quietness and won't allow another to intrude on my rights. "You can't go wrong with this hotel"
This is the second year in a row I've stayed at the Best Western Evans Hotel and everything has been just the way I like it. The rooms are clean and well kept, the breakfast area is well maintained with a wide selection of breakfast items, and the hotel staff has been very friendly and helpful. They also allowed me to keep my bicycle in the room which is very important to me. "Nice hotel, good breakfast, nice pool"
Check-in here was speedy. This hotel featured a very nice, warm pool out back. Very quite. Staff was very friendly and a very nice free breakfast was provided. Hallways, etc could use a bit of maintenance, but everything seemed pretty clean. We would stay again. Best Western was clean, the staff was friendly. I have no complaints. I did ask for additional in room coffee for the 2nd and we didn't get it. I just got dressed and went downstairs and got coffee. I'm going to Dallas Tx the end of June and I'm going to stay in a BW down there. I like the hotel. This Hotel was clean, warm, and comfortable. The Hotel Front Desk Staff made our visit very pleasant and they were very helpful regarding information about the area. We found other Hotel employees also, to be kind, courteous, and helpful. Overall this was an excellent Hotel experience and we will highly recommend this Hotel to our friends and family. "Good place to stay in Augusta area!" Price was right, breakfast was tasty and service was exceptionally good. Room and public areas were quite clean. Shower was great! My only quibble was the quality of the bed linens, especially the pillow cases. They had pilled and were rough to the touch. Upon arrival, I felt like I had to apologize to the guy at the front desk for interrupting his smart phone session. He just barely greeted me, then spent several minutes looking up my reservation, without saying a word. Finally he gave me a key and pointed me towards my room. It was a very noisy night, as the room was across from the laundry and next to one of the exits. Since I stayed here, I made several more over-night trips to Augusta, but avoided this hotel. We have stayed at this property twice over the past few months while attending appointments at the dental college. It is a straight shot & only 10 min. drive to the school. Justin, (although a Saints fan) & the rest of the staff have been very nice and helpful. However, the most important thing is that it is clean! I look at edges and corners of windowsills, carpets & tile flooring as to the level of cleaning. The room, bathroom, even the staircase and hallway edges are clean. They do need to clean the outside windows. Will definitely be back. "Great night's sleep, pleasant staff, nice breakfast (spotty wi-fi)"
We really enjoyed our 5-night stay at this Best Western when we were in town visiting family. The room was large and the beds firm (just the way I like them) and comfy. Good location near I-20, but we could not hear traffic noise from inside at all. Nice hot breakfast, always eggs, pancakes,and either sausage or chipped beef gravy over biscuits. Really pleasant staff. Did not use the small but clean-looking pool, although we saw some people in it. Very convenient to Fort Gordan, so hotel is frequented by military. Can't say much for their on-again, off-again WI-FI but there was always the convenient computer in the lounge area to use. 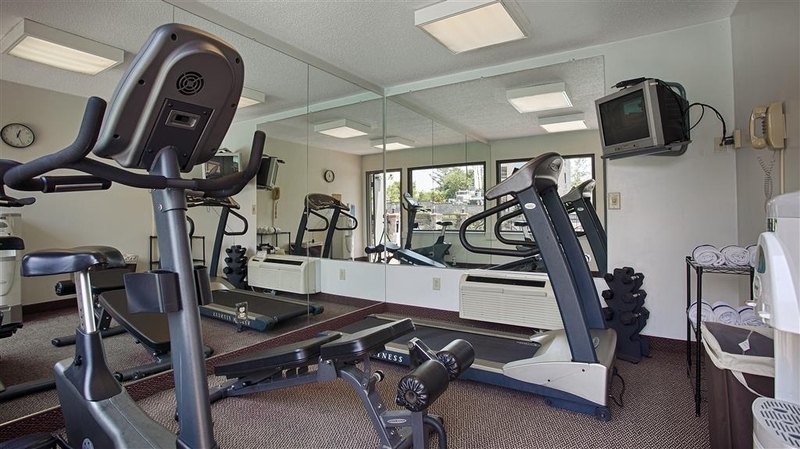 Could use a fitness room in the hotel, however. Cracker Barrel is nearby and other eateries are not far away. We'll stay here again, I'm sure. Thank you for a nice stay. This hotel is very friendly and has awesome customer service. Easily located from the interstate. Very clean. Located close to showing area and grocery stores. Staff is very efficient and helpful. Great place to get a good night sleep. I was pleased with the cleanliness of the rooms. The staff were very helpful and friendly. I will definitely use this hotel again. None of my friends complained about their stay. I will recommend this hotel in the future. "Hotel Staff eneter room with "Do Not Disturb" Tag on door for no known reason"
While staying the week at this hotel the very fist day I return to the room to find that someone has entered my room even with the "Do Not Disturb" tag on the door. I proceed to the front desk and Inform the General Manager/Owner of the hotel that some has entered my room and went through my bags while I was out for the day. She goes into a dissertation on how all of her staff have been with her fr years and sh trusts everyone one of them. She states she will pull the door access log and get back to me the following day and tell me who had entered and why. I wait all day long and no call. I get back to the hotel a little after 5:00PM and go to the front desk and ask for the General Manager. I hear her speaking in the back room. She was too busy to come out and speak t me and the gentlemen at the front desk informs me she will call me later. I tell the front desk staff I have been waiting all day to hear what was going on and was very anxious to know what happened. I leave and go to dinner and I get my call from the General Manager/Owner stating that a Housekeeper used an access key to enter my room for some unknown reason. She stated that she did not address why the Housekeeper entered my room and went through my baggage. So I am still not satisfied my room room and personal belongings were violated. The casual way that this serious offense is being address is totally unacceptable. So I put some money on my pillow as a tip for room service, they came in, took the money and didn't do anything for the room. Didn't replace towels, make the bed, or even vacuum. Don't stay there!! The breakfast is okay but very very limited, and the room did not have a clean smell. "Nice Hotel in good area"
I have stayed here before and usually get a good price on one of the online bidding.booking sites. Rooms are clean and spacious and staff is friendly. There is good and well lit parking. 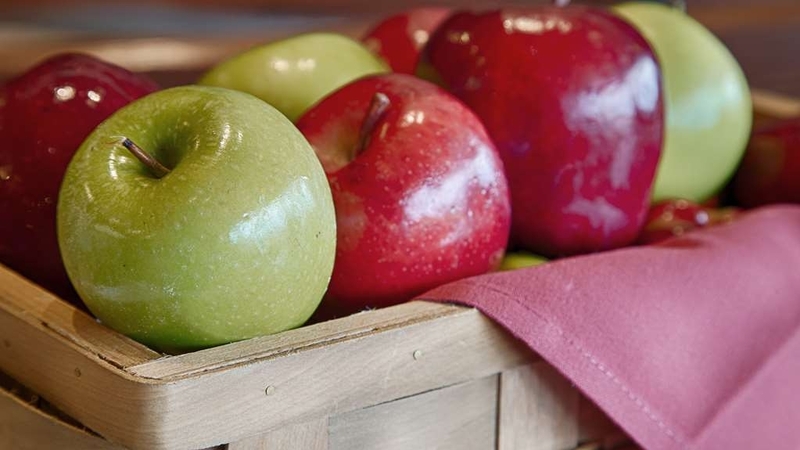 Good restaurants are nearby and location is good for West Augusta and Fort Gordon. Thank you for your comments, we appreciate it. We hope that when your travels bring you back to our area, that you will choose to stay with us once again. I've stayed at this location for a few years when visiting my home town in SC. It's one of the better options in the area. Have never had any problems. 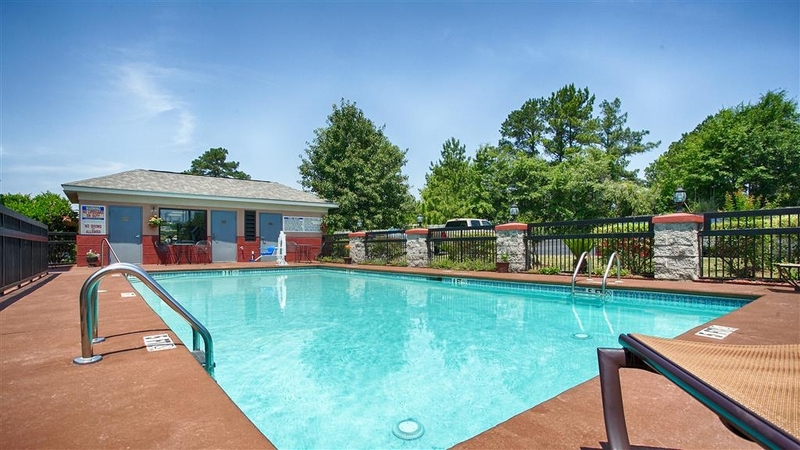 It's clean, convenient to I-20 and reasonably priced. This is very clean hotel. It is convenient to FT Gordon and I-20. There is only one treadmill and one bench in the exercise room. The hotel is within walking distance from three restaurants. The morning breakfast is pretty good and has both cold and hot items. The hotel does not provide complimentary newspapers. Having pre-booked the hotel we were not sure what to expect. We were pleased with most everything. The staff was friendly and helpful. They recommended a very good restaurant for us. The hotel was clean, priced fairly and compfortable. The one negative (based only on this stay and this room) was that the "Hi-speed Internet" was hardly high speed and was barely usable. I know it could have been the room location so I wouldn't use that as a reason not to stay there. Clean, friendly staff and very nice for the rate charged! I would definitely stay here again. Very good hotel for the price paid. The main thing was it was clean and spacious. Very adequate for type of hotel. "Well kept property a nice stay"
We have stayed here now for our annual Christmas visit for the past 5 years. The staff is always very helpful with making sure we get the types of rooms that fit our families' needs. The rooms are spacious and comfortable. Breakfast is good with a nice variety. You get a great value for your money. "Great place to stay; Better than some 4* hotels"
Justin, Teresa, and the night lady (Don't remember her name) were all great. They ensured we had rooms close together, and noted that we would have a late check in. Always greeted us with a smile, and ensured that or stay was stellar. Breakfast was very nice. Had scrambled eggs, and other breakfast goodies. They also had a break from the other hotels with a pancake making machine instead of the waffle machine. Check in and out was quick and the entire staff made you feel welcome. Great job, everyone. Close to the freeway, but very quiet. We were welcomed with a smile. Helped with WiFi. At check out our final bill was correct. I think a night light would be good in the bathroom. The exhaust fan is too loud If items i.e. coffee and tea are used they should be replaced and coffee pot cleaned. 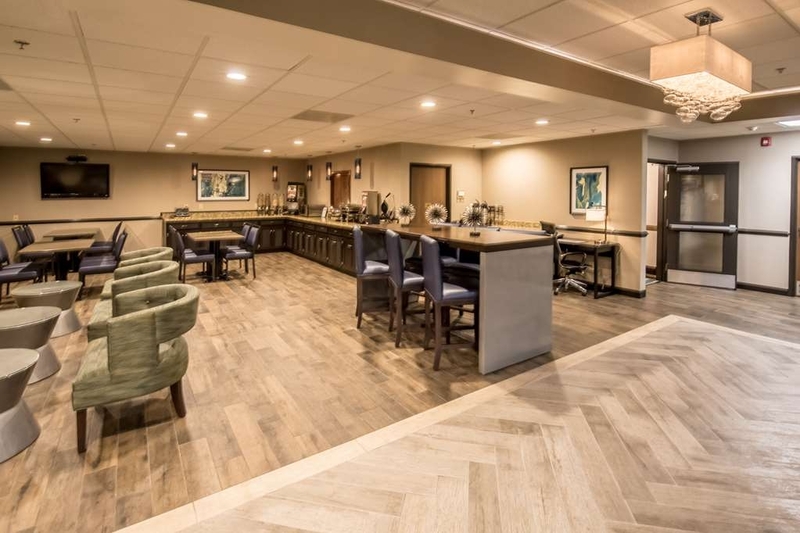 This hotel is clean, nice, and has friendly employees who are helpful It was a pleasure saying here and I highly recommend it. There are plenty of restaurants in the vicinity, too. A little privacy can be had by sitting out back of this facility--a little place away fro the hustle-bussle of a busy town. "Great hotel, great staff !" This was our first visit to the Grovetown, Georgia Best Western. And it will not be our last. We called ahead and spoke with Christi at the front desk. We explained the type of room we wanted and our expected arrival. On arrival, Christi wanted to be sure we got exactly what we wanted and were happy with her selection. She was great! In the morning, Bruce, the dining area attendant was friendly and attentive and wanted to be sure we enjoyed our breakfast. At check out, Justin quickly reviewed our stay and check to be sure our BW awards account was credited. Justin asked us to come back the next time we were in the area. -- A great hotel and terrific staff! Thanks for making our brief stay so enjoyable. The facility was clean, comfortable and an overall good value. The wifi was very slow and sometimes did not work. Breakfast was decent for being included in the cost of the room. In-room amenities were good - fridge, microwave, big screen TV, wifi (when it worked), coffee maker. Good value and overall good experience at this price point. We stayed at this Best Western Tues, 10/13 for one night. It was a stopover on our trip South. We were very impressed and will definitely stay there again! We found a very friendly staff, free wifi, clean (very clean!) room and a comfortable bed to sleep in. The property was well kept and the elevators which perfectly. 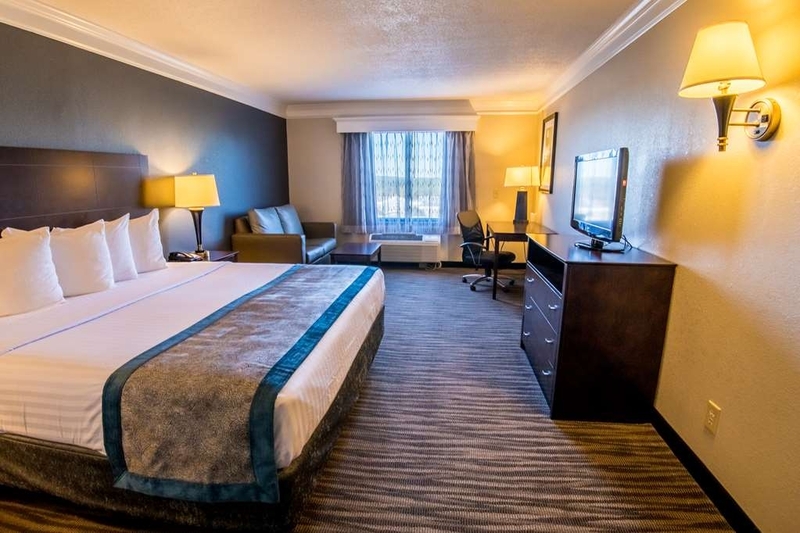 This hotel has easy access on and off I-20 and just a few miles away from the I-520 loop (which we needed to use). There was a very nice continental breakfast in the lobby. I envisioned this to be a noisy location due to the highway but, it was stone quiet. Kudos to the management on such a nice property! 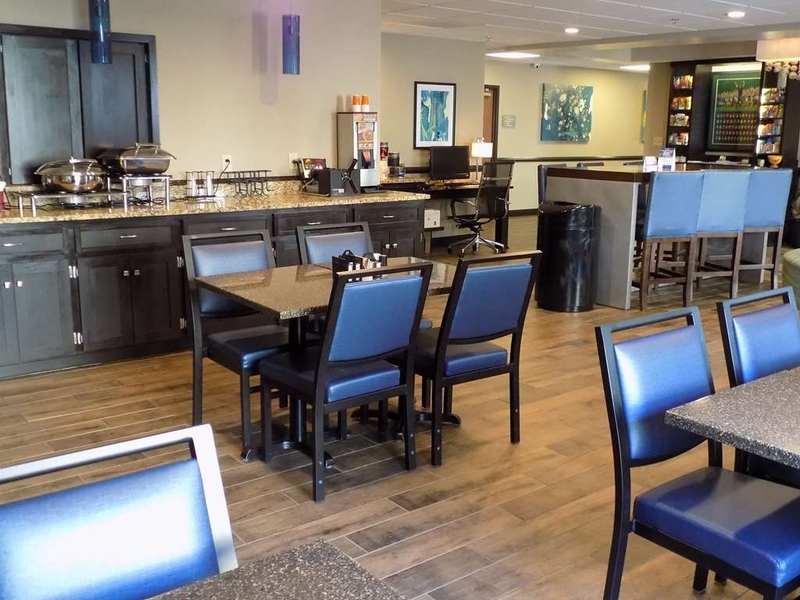 The hotel is in a good location -- close to the interstate and also to local restaurants; it is not fancy but the room was comfortable and clean. We experienced a minor problem with the plumbing and it was handled quickly and satisfactorily. The complimentary breakfast was good. The staff was amazing! We came in late without a reservation. The young lady at the desk was very nice! Got us a room and got us all checked in very quickly! Our room was very nice, large and clean! All updated! Internet was slow. Breakfast was average. This Hotel is located right off HWY 20 at exit 94. Easy access to the highway and far enough away from the craziness that happens on Washington Rd. The staff at this location are part of it's most redeeming qualities. 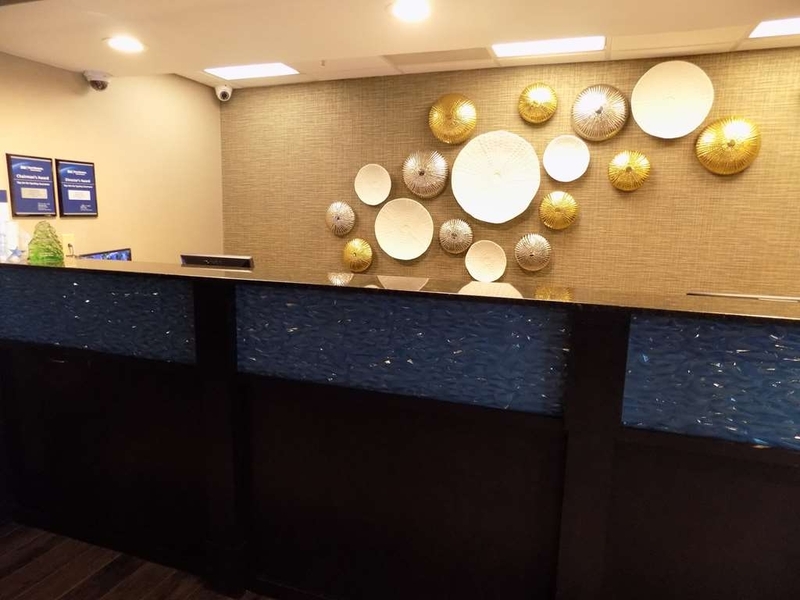 The service at this Best Western made our stay here memorable due to the fact that Victoria at the front desk worked so hard to make things exactly right for each guest. She wanted everyone to have the best stay possible. She gave old-fashioned customer service that you don't see much any more. The rooms were comfortable, and we enjoyed our stay.